The world fastest things; object, machine, animal or human. Up until mid century, the fastest thing in the world, apart from light, was sound. Travelling at 343 meters per second (1230 kph or 767 mph), sound was faster than even the most devastating craft of war. But then, in 1947, Air Force Captain Charles “Chuck” Yeager broke the sound barrier in Glamorous Glennis, his Bell X-1 aircraft. It was such an accomplishment at the time that he and the team he worked with were honored at the White House by Commander in Chief Harry S. Truman. The unofficial fastest road car in the world is the Hennessey Venom GT, which reached 270.49 miles per hour in 2014. By doing that, it beat out previous winner Bugatti Veyron Supersport and is now the fastest road car in the world. However, the score wasn’t recorded in the Guinness Book of World Records, because it requires a run in two directions, which the car was unable to complete on its track, the NASA Space Shuttle landing runway. So for the time being, the fastest car according the industry standard is the Bugatti Veyron SuperSport, which goes from 0 to 60 in just 2.4 seconds. X-15 set a number of records for top speed and highest altitudes in 1960s as it achieved a top speed of 4,520 mphat an altitude of more than 62 miles. X-15 also holds the record for the fastest speedever recorded by a manned aircraft. It was a part of the x-plane fleetwhich was an experimental aircraft operation jointly run by NASA and US Air Force. X-15 was taken off the fleet in 1970 as other aircraft were featured into the operation. An eight-time world champion of sprinting, Usain Bolt (29) has been named the fastest man alive. He is the first man to hold both the 100 meter and 200 meter world records and he is also the first man to have six Olympic gold medals in sprinting. Does it come as any kind of surprise that the fastest computer in the world, called the Tianhe-2, would come from China? This particular computer can run 33.86 quadrillion floating point operations in 1 second. That’s 4000 times better than Apple’s most powerful Mac. It’s located in China’s National University of Defense Technology. The world’s fastest ambulance, the Lotus Evora, was premiered at Gitex in Dubai’s World Trade Center. This emergency vehicle is absolutely one of a kind, being made out of a $150,000 car. At that price, it can reach 185 miles per hour, which is tempered a little by the fact that it’s only a two-seater, but in matters of life and death, every second counts. Although a cheetah has spots, it typically just becomes a black-and-beige blur as it skitters through the air at speeds up to 75 miles per hour. That’s right, the cheetah can run as fast as a greyhound bus. Its acceleration can get up to 62 mph in the first 3 seconds of its sprint, which is faster than most cars. The fastest roller-coaster in the world is called the Formula Rossa and is located at Ferrari World in Abu Dhabi. This roller-coaster is launched, meaning that it used hydraulic pressure to propel it to its top speed (150 mph, by the way, which it reaches in approximately 5 seconds.) Because of it’s extreme speed, the track is also very long (or else the ride wouldn’t last any time at all), coming in at 2.2 km, the world’s 6th longest. 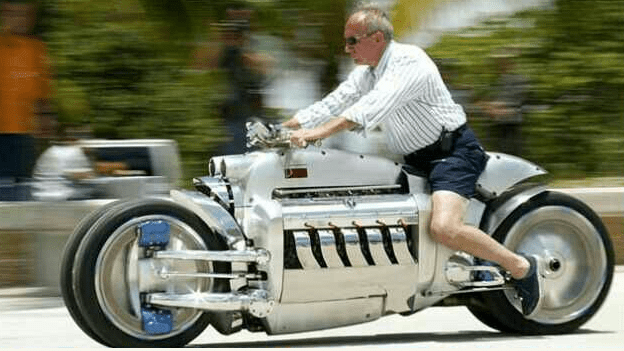 It goes so fast that the people who ride it need to wear protective goggles, lest they come into contact with an insect-turned-diamond by speed. Sailfish (Istiophorus platypterus) has a maximum speed 110 km/hr (68 mph). They are found in the Indian and Pacific oceans and they have a distinctive sail-like dorsal fin that gives them their name. They have a long, sharp bill that they use for hunting and they feed on tuna, mackerel and other fish. Dodge Tomahawk has 500 horsepower engine, having four wheels same as car with a remarkable sounding having top speed of 400mph that made it the fastest bike in the world. Tomahawk each of two wheels has independent suspension to handle to power of engine, equipped with 20-inch perimeter mounted drilled machined and stainless steel rotors of custom designed blue anodized caliper finish. The Japanese JR-Maglev has reached over 360mph (581km/h) on a magnetic levitation track. What a wonder. What do you think of these fastest things on earth?